Wine and Minnesota. Two words that few people living outside the North Star State would put in the same sentence. With temperatures dipping to well below zero during the winter months, the land of ten thousand lakes appears to be an odd place for winemaking. And yet, the state is one of America’s fastest growing regions for viticulture, with its wineries and vineyards producing over 90,000 gallons in 2009. So how could a region synonymous with Vikings and frigid weather produce such quality wine usually associated with a lush Mediterranean climate? The answer: working alongside state vintners, scientists at the University of Minnesota have created a series of grape varieties that are able to withstand harsh winters while producing truly exceptional wines. La Crescent – a sweet wine perfect for dessert, its intense apricot, citrus and pineapple aromas make it one of U of M’s best creations. With two branches in Minneapolis/St. Paul and Rochester, the International Wine & Food Society is proud to be active in the region. 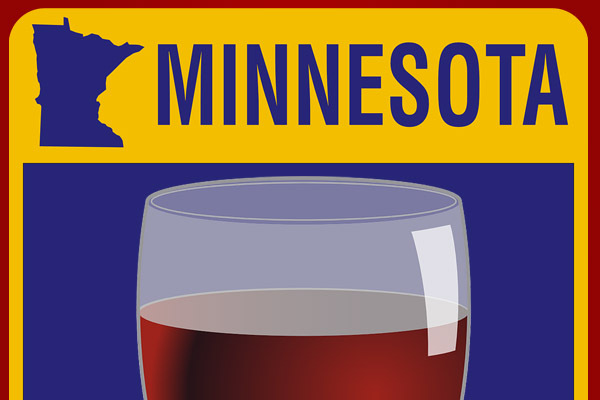 So please share your thoughts and experiences of Minnesota wine in the comments section. Have you tried wine from Minnesota? St Croix Winery, some excellent reds and whites, just NE of St. Paul, not far from the St. Croix river. Nice people too!